SAP Fiori is an innovative collection of apps that provide a simple and easy-to-use experience for broadly and frequently used SAP software functions that work seamlessly across all devices; be it desktop computers, tablets or smartphones. 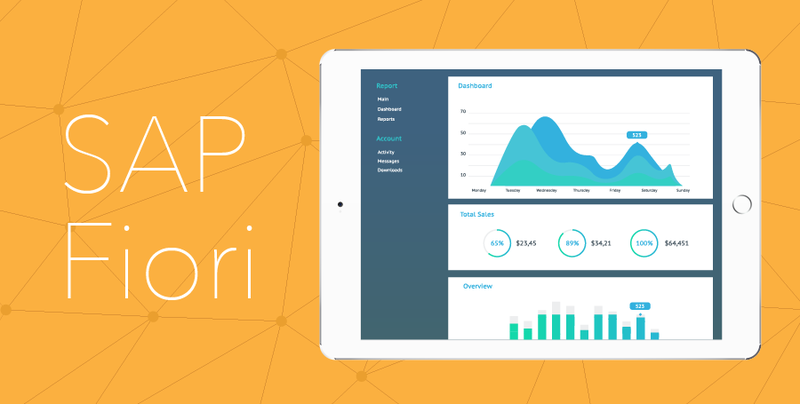 With the usage of modern UX design principles and built with SAP UI5 technology, Fiori focuses on the delivery of a role-based, consumer-grade user experience throughout the entire business. Let’s take a look at a couple of scenarios relevant to the fashion retail industry in order to understand how it really works on a SAP system landscape such as SAP AFS, IS Retail or SAP FMS. - Approve PO’s on the Go: The ‘Approve Purchase Orders’ App enables you to view pending purchase orders and approve them. In any case, if you want to forward approvals to a different employee for further processing, this feature will help you to carry this task out seamlessly. - Track Purchase Orders: The ‘Track Purchase Order’ App helps you to view crucial purchase order information at your fingertips. For each purchase order, the app showcases the overall order fulfillment status, the quantities and values, alongside a graphical view of the process flow. It doesn’t just stop there. If a purchase order is based on purchase requisitions, these documents can also be displayed. This app displays the Key Performance Indicator (KPI) ‘Open Purchase Orders’. This is ideal if you want to display the aggregated effective value of open purchase order items for which goods receipts are expected within a pre-defined period of time. This feature on Fiori allows you to assess the financial impact of the stock value increase resulting from upcoming goods receipts. This custom developed app by attune provides a quick overview of the stock at hand that’s available to sell. This app will not only show an overview of products but also a high-level detailed analysis of sales orders, purchase orders and goods in transit. These application can work seamlessly in an SAP Fashion Management environment or within SAP environment which runs SAP HANA. Applicable to SAP Apparel and Footwear (SAP AFS) customers as well, the Available to Sell tool helps bring real-time insight into current inventory and stock levels so they can make informed decisions regarding the availability of products. In conclusion, the value of SAP Fiori lies in how people have fast access to information in order to perform their job tasks every day. It’s particularly easy to use and people are able to adopt it at lightning speed, at their fingertips. The implementation of SAP Fiori apps for a range of mission-critical business needs will certainly lead to faster access to vital information that will facilitate smart thinking and decision-making, and provide business users an instant improvement in efficiency.